If you‘ve been thinking about cleaning out your attic, basement, or that hall closet that is overflowing with stuff, now is the time to do it! Be sustainable and make some money by having your items re-circulated in the community at a reasonable price. $10.00/parking stall | All spots taken. Event will be cancelled if we receive rain on the day of the event. The first-annual Rummage Sale is being offered in the community spirit of frugality and sustainability. 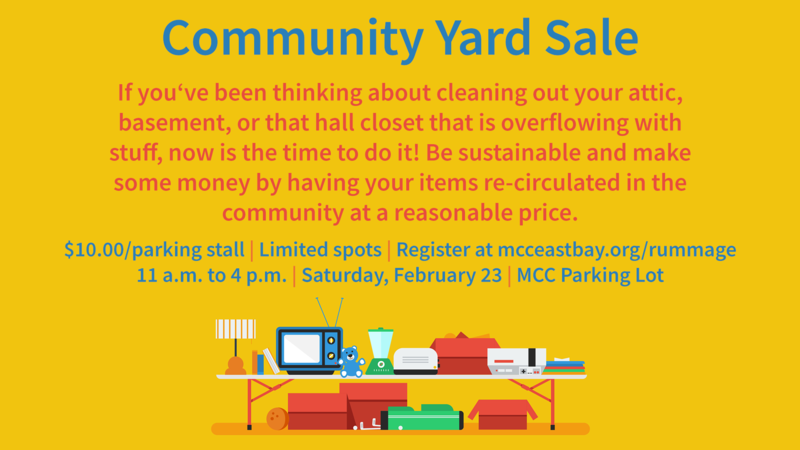 It allows items that are sitting unused to be re-circulated in the community and the reasonable prices also are a great help to lower-income families and are a delight to thrifty bargain-hunters. You are also helping your community center.